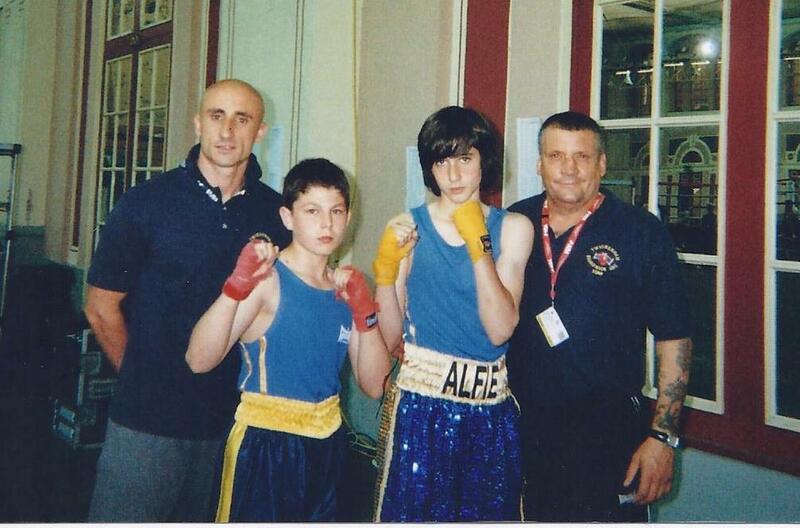 Twickenham Brunswick Amateur Boxing Club is an A.B.A. affiliated club. The Junior section runs on Tuesday and Thursday evenings from 5.30pm. The senior section on Mondays and Wednesdays from 6pm. 13/11/2016 Twickenham Brunswick have two National Champions. Twickenham Brunswick Amateur Boxing Club has now achieved levels never seen before at the club thanks to the hard work and dedication of the coaches and Junior boxers. After a successful weekend we now have two boys, Ollie Wilkins & Tommy Stokes that made it through to the England National novice finals and came away as winners. Both favourites to win at their weights Ollie outboxed his opponent in a tight contest while Tommy Stokes won by default when his opponent withdrew..
At the end of a busy season for Twickenham Brunswick A.B.C. 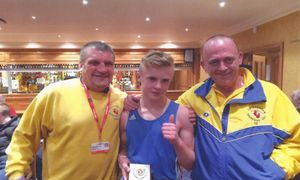 Tony Rabbets and Lee Williams can be justly proud of the performances of a couple of their outstanding junior boxers. The dedication and commitment that Richmond Schoolboys Alfie Shrubb and Matthew Mould have given to their training has paid dividends in the ring. 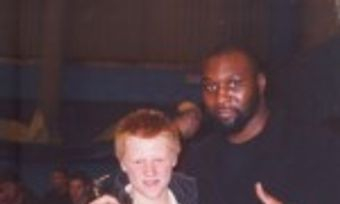 Alfie shrubb a veteran of over twenty bouts at the age of 14 sees him with a record of having won more than half his bouts. In his latest contest he came away with the Gold medal in the Haringey Cup, but his achievement of the season was a narrow defeat on points in the London Schoolboys Final to an outstanding National and Four Nations Champion. Matthew Mould 13 a relative novice who only started his career in the ring this season has already represented the club on seven occasions and in the Haringey Cup just recently came away with the Silver medal. With 2012 and the new season just around the corner, the club is expecting further great results from the Battling Duo in what will be the year of the London Olympics. 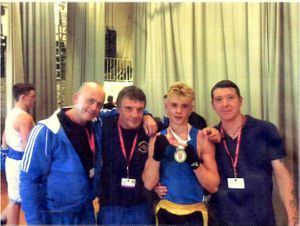 Saturday saw five of Twickenham Brunswick?s Boxers on the program at a show in Aldershot. The club had some highs and lows as the afternoon progressed, with two of the lads pulling off good wins while the other three suffered defeats. Alex Kenchington and Jason Davies were two of the Twickenham Boxers who will have learnt from hard fights ending in defeat. However Jake Williams again managed to turn defeat into a moral victory. After taking quite a battering for two rounds Jake dug deep and raised his performance turning the tables on his opponent. His storming finish earned him a standing ovation from the audience and the ?Fight of the Night? award but unfortunately not the judges? decision. Also on the programme were two of the clubs younger boxers Reece Emeny who stopped his opponent in the first round and Terry Dempster who in his first fight gained a unanimous decision from the three judges. In today's climate these same objections could be applied to any number of contact sports,soccer and rugby spring to mind as two obvious examples.However let's take the objections one at a time. Critics will leap upon stories like the recent case of former World Heavyweight Champion Mike Tyson, losing his temper and punching two men following a road rage incident. But Tyson is only one man. The vast majority of boxers both professional and amateur lead good productive lives.. If boxing were indeed brutalising we would see our courts filled with young boxers awaiting trial, and read endless stories of street violence involving lads from different boxing clubs. In fact the reverse is true. In almost all cases involving soccer hooligans, street gang fights and violence in clubs and bars, there is no question of the participants ever being involved in organised boxing, which leads us to the second argument. Does boxing make men quarrelsome? You can meet a quarrelsome man who happens to be a boxer, but that is the nature of the man, not the nature of the sport.. He would be the same had he never laced on the gloves.As a rule most men who have boxed a great deal will hesitate before getting involved in trouble outside the ring. There are two reasons for this. Firstly a boxer knows the damage a hard punch can inflict in a street fight, and secondly, boxing teaches a young men how to control their aggression as well as unleash it. Of course there are dangers just as there ared angers in soccer and rugby. In fact statistically both of the latter sports are responsible for far more injuries, especially those involving sprains strains and fractures.. Yes there are occasional black eyes which may be awkward or inconvenient, but permanent injuries are extraordinarily rare in amateur boxing. Is boxing of no practical value today? In my time as a trainer I have found that many lads,often bullied at school, have become transformed by, belonging to and boxing for, a boxing club. They have looked inside themselves and found courage they did not know they possessed. They have formed physical skills that increased their confidence. Most have gone on to become good citizens, making their mark in the jobs of their choice. Many of them previously labelled as troublemakers or dropouts, learned through the Noble Art, to channel and control their aggression, using their passions productively. A few went on to become ABA and professional champions, and thereby inspired other similar youngsters to follow in their footsteps. in short they became role models for the young. Finally as my 82nd birthday passes by, I cannot help but reflect on the curent state of the sport. Many of us old'uns dwell too long in the past, and like to think that things were better in the old days. i do not subscribe to this theory. It suggests boxing has stood stil and not advanced in skills, applied science or quality training and safety techniques. This is simply not true. Many of the advances have been due, in my opinion, to the appointment of good, competent national trainers like David James, Kevin Hickey and Ian Irvin, good thinking men, devoted to the spor tand above all, totally committed to the welfare and safety of the boys in their care.